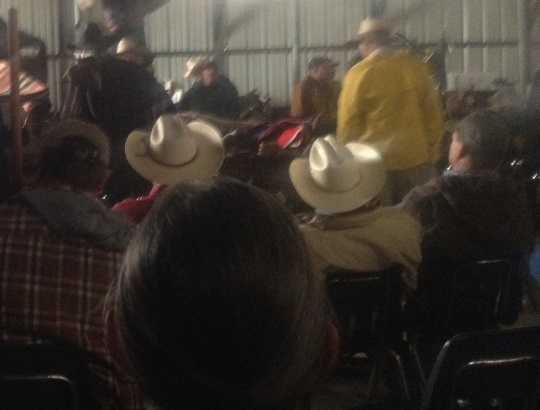 Reader Andy shares photos of the annual school auction held in Texas’ sole Amish community, in Bee County (Beeville). 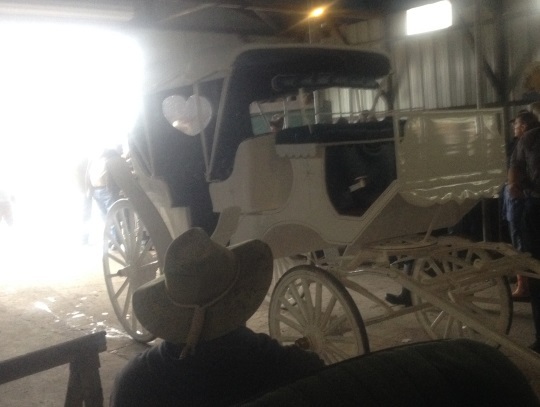 Some of them are a bit blurry, probably due to the low light, but you can see some of the items up for sale including a pretty fancy buggy (rest assured you won’t see Amish driving this model). The buggy may very well be the work of Truman Borntrager, who owns Borntrager’s Combination Shop and makes carriages for non-Amish people. 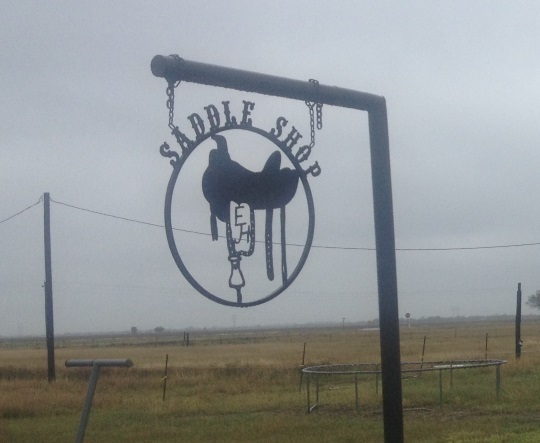 At the end of this post you’ll also see photos of a shop with a sign out front reading “Saddle Shop”. The Beeville community is a small, very plain one. We’ve looked at this community on a number of other occasions, including here and here. This year there was rain during part of the auction but it didn’t slow it down at all. 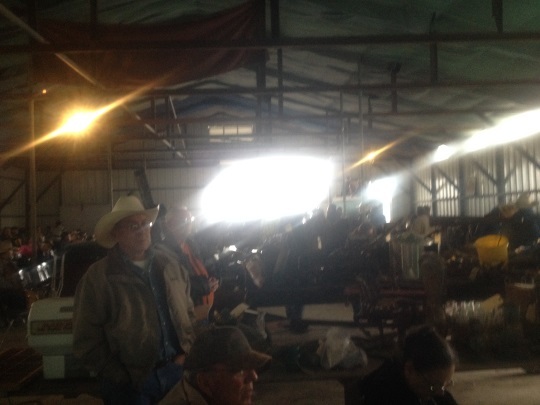 The barn was packed with buyers and two auctions were running simultaneously. 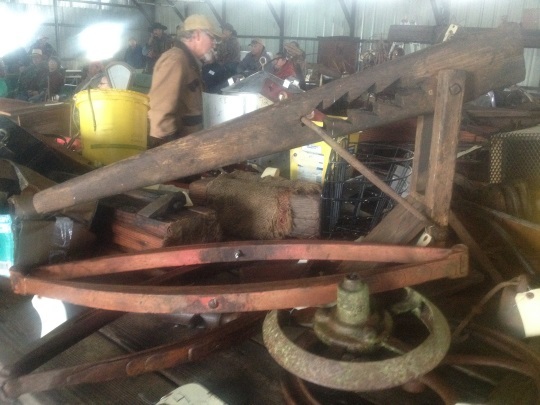 There are buggies and horses and miniature ponies and cattle and puppies, a huge section of antiques and tools and kitchen ware are up for auction. Of course food and drinks are sold on the side of the auction and no one goes hungry! It’s a fun event and as big as Texas is, everybody is warm and welcoming, and you feel like you are all old friends. For folks unfamiliar with an auction it works like this: first you find a parking spot, then you oh register and get an auction number card. Then you may walk around and look for what interests you in advance. When your special item comes up for auction the auctioneer starts bidding at a set price, as he calls the auction you raise your number card to signify you’ll offer a higher bid. When no one else raises the bid the item goes to the highest bidder. A bit of advice, every auction goer would be wise to set a spending limit ands realistic bid per item limit. 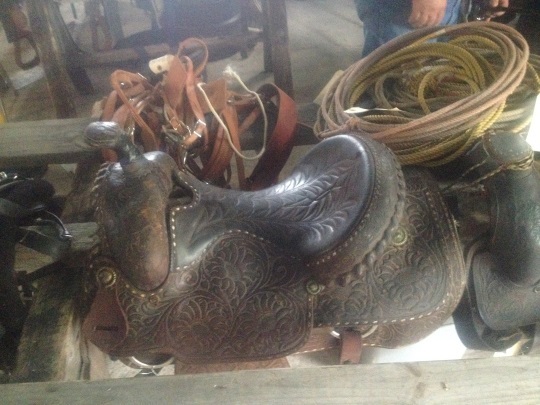 You don’t have a lot of time to think during the auction and it’s easy to bid on impulse. It’s great fun and everybody goes home with something special even if it’s memories and new friends! Next year, could you please make an announcement a month to a week in advance for this auction? I used to attend the auctions/mud sales in Strasburg, and since I live out this way, it only makes sense to attend the closest, most local. I ask for such notice so I can disentangle from my schedule and be there early, to get a parking spot. I wonder if this event is held on the same day each year (ie, 1st Saturday in Feb)? That’s often how they are scheduled though not always. Maybe someone can tell us, and you would be able to plan for it even now. They do build carriages, buggies & wagons from scratch and do repair the same as well as having an in house wheel wright. Horse shoeing for area folk. A very nice selection of essential oils and all are 100% pure, as well as teas, honey, home made crafts and in season veggies in the store & baked goods day is Friday. 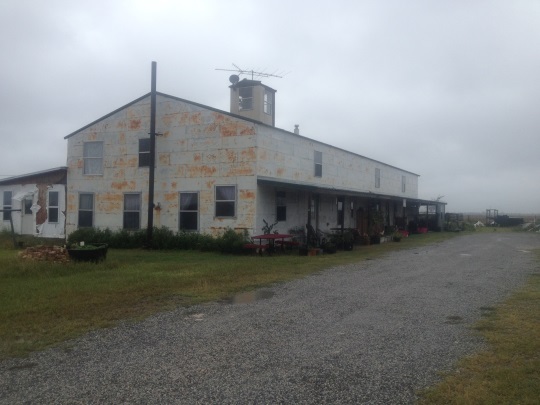 Their production of vegetables has increased to the point where they now sell to HEB, a large Texas grocery chain. 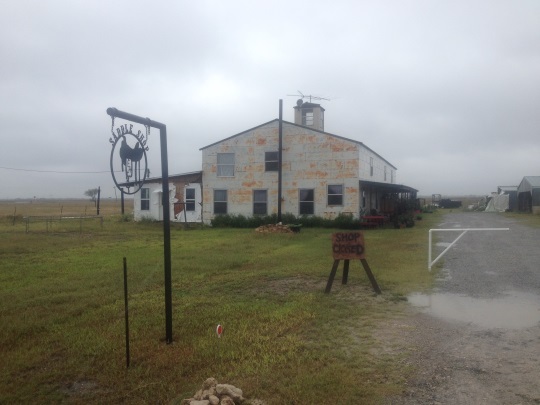 Their produce can be found in Beeville, Sinton and San Antonio select stores – look for the Amish buggy sticker and the words “locally grown”. I enjoy your site. I get asked many questions, people are curious and some postings help me understand their ways a bit more. Ya, know, sometimes I want to ask – but I don’t want to pry. 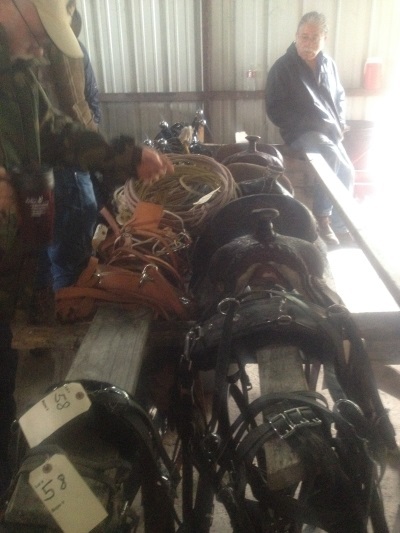 I can tell it’s Texas, from all the cowboy hats and the fancy saddles. My question is; How do the Amish survive the heat in Texas? Granted that people did survive the heat in the olden days, so it can be done. I think of the people that have health concerns and the heat being an added stress on them. I have asked some of our Wisc Amish about having church in summer when it’s hot and humid….and the answer was…some times it’s tough! Having a house full of people and not much air moving sounds like a time to pass out! Some houses have basements that are large and accommodating for church, but with 150 people in attendance, or more, and services lasting three hours…well…it just seems like I’d be happy if the sermon was short! We’re such wimps today when it comes to temperatures, and we wonder how the old timers survived! They survived because they were tough and tolerated what came their way, and that was just the way it was. Our society is way different today. Great question – I asked that once of an Orthodox Jew in NY, on a muggy hot afternoon, when he was wearing a long black jacket over a silk prayer robe with tassels. He said he didn’t know. I think tenacity has something to do with it, especially relative to faith. If this is what G-d has given you, then you learn to live with the gift. No better or worse than anyone who works in the heat, whether it is outside or near an oven (restaurant cook or baker). There are prime times for moving outdoors, and there are times when you stay inside. In AZ, I’ve seen/heard people who open up car doors and drive with oven mitts on. 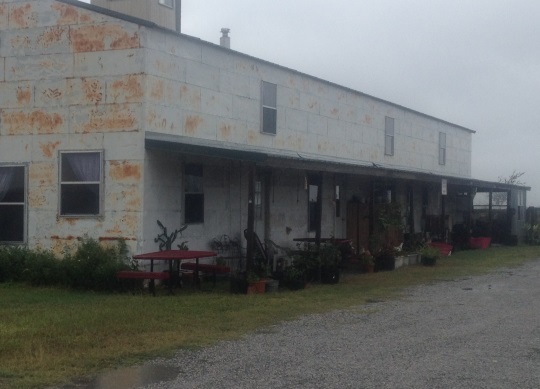 Like everyone else, the Amish are a hardy group and accommodate to the environment. When its blistering cold in Napnanee IN, Cashton WI or Huevelton NY, they are still moving. I imaging the Amish in TX have larger brimmed hats and drink plenty of liquid refreshment, probably similar to persons completing construction or working on road crews. For the Amish in Texas the heat has been an issue honestly. But cloth can be had that is a looser weave and allows more “breathing” for shirts. Everybody still looks mostly the same but there are adaptations that may not always be visible. but I did ask Truman Borntrager about this very issue one time when I was having my team of mares trained by his son, John, and was down there to check on their progress. Specifically, what I asked was: “How have your people been able to deal with the heat here?” A condensed version of his reply was that it wasn’t really that much hotter in Beeville, than where they moved from in Tennessee (west of Nashville maybe 80 or 90 miles). He did say there MORE days that it gets fairly hot, just not that MUCH hotter on any GIVEN day. “We just got used to it” was his overall observation. For those not familiar with Beeville, it sits on the Coastal Plain not terribly far off of the Gulf. There is usually an onshore breeze in the evenings on most summer days that cools things down some. I grew up east of there and further up the Coastal Bend, but basically the same climate temp wise. What we did to work around the summer heat was start work as soon as it was light, knock off around 2:00 PM and then resume about 6:30 PM for another couple of hours. Of course, like the Amish, we didn’t have air conditioning so there was never that shocking transition from walking out of a 72 degree house into afternoon heat of 95 to 100 degrees. Even today, I use the same pattern, because I have found that if I hang around in the house until 9:30 or 10:00 AM before getting started on outside jobs it is already too hot to want to really get after it. However, if I am out working by 6:30 to 7:00 AM I don’t even notice it getting warmer. Like he said; just a matter of what you are used to. Really. as a kid I never really even thought about the heat. I guess sort of like people in the Northeast, and particularly New England, don’t see a big deal in how cold their winters get. BTW: What Truman said that they COULD NOT get used to was the extremes in rainfall; when they first moved there they had a few summers where they got some rainfall every so many days all summer long, versus the bulk of the years between about 2001 and 2011 where they got virtually NO rainfall all summer. Of course, that same pattern was true for most of the state during that time period; save the far eastern part. THAT is much tougher to deal with … just ask those poor folks in California who are dealing with their horrible drought.